An essential part of any CCTV system is one or more points to monitor the cameras, and if necessary move PTZ (Pan, Tilt and Zoom) cameras to follow the action. 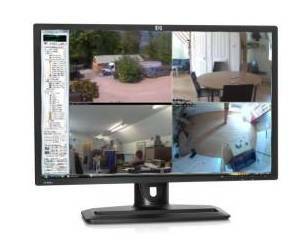 In larger CCTV systems it may not be practical to place iCatcher Console in an ideal monitoring position, and VGA distribution systems can be expensive. 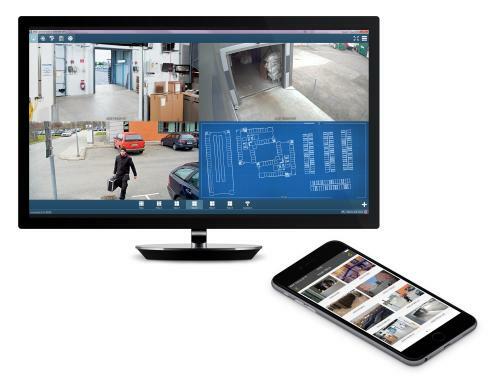 iCatcher Smart Client is a client edition of the iCatcher Console that provides monitoring and limited control facilties for an iCatcher CCTV system. By making use of the iDomain system, iCatcher Smart Client can view and control feeds on several iCatcher Console systems. iCatcher Smart Client is designed to make use of the existing web interface facilities of iCatcher Console to show remote feeds as if they were local. 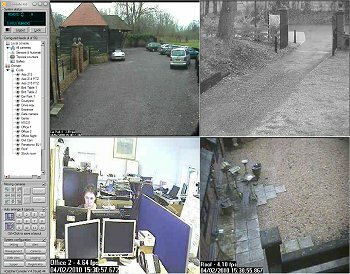 Live views, playback and PTZ movement are available from the monitoring station. Because iCatcher Smart Client communicates with the Console through the web interface using iDomain, usernames and passwords set on the Console will apply to the Smart Client too. Any monitoring station can be set up to access the Console with limited abilities as required. A security station might have full access, where as a monitor on a reception desk may be limited to viewing only.